You guys, we took a vacation--A VACATION! Since Daniel and I have been married (almost 6-years), we have taken only three vacations (Arizona, Maui, Oregon) for just us. That's not very many, but it's interesting because it seems all that I blog about these days is traveling. But truly, most of the "trips" or "vacations" we take are literally to visit our family out of state. Traveling for us is new, but it seems like we've caught the bug and we don't see the travels slowing down anytime soon. 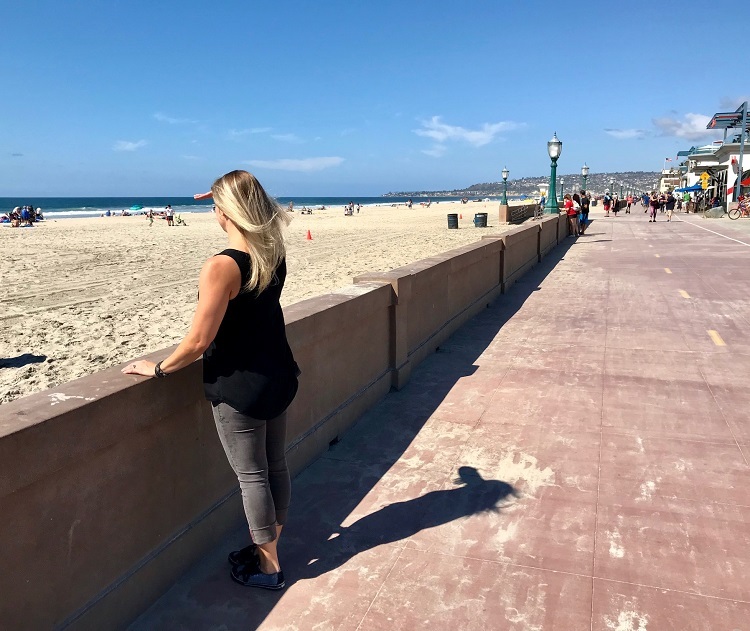 So this last week, we took five days and went to San Diego, California. We had Friday and Monday off of work (down day & holiday), so we took a day of leave on Tuesday and went for a five-day trip! We got in Friday afternoon and headed straight to our hotel on Hotel Circle. We loved staying there... and not only did we get a good deal, but the location was perfect and about 10-minutes from everything that we wanted to do! Our first stop was Cannonball at Mission Beach. We picked the spot because the location offered amazing views of the beach and we were just wanting some FISH! Fish and Mexican, fish and Mexican--repeat all week--that was the goal. 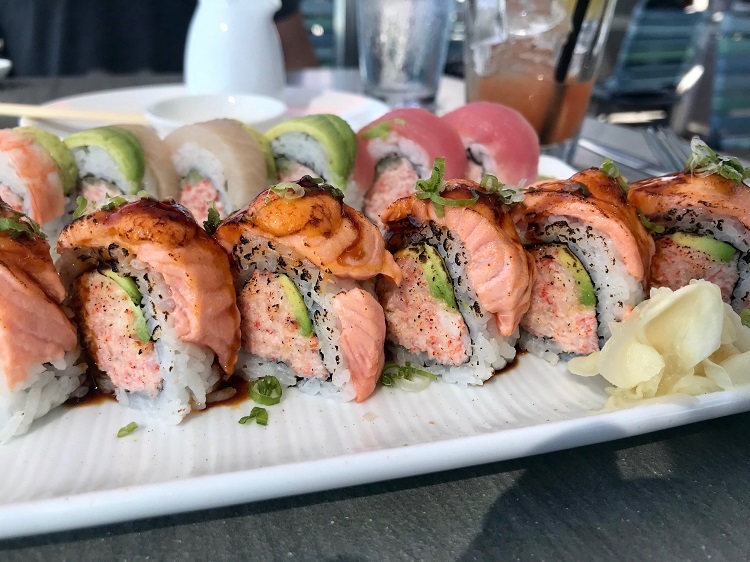 We shared two sushi rolls since it was a late lunch and didn't want to get too stuffed before we enjoyed a Mexican dinner. After lunch, we drove north up the coast and found ourselves at La Jolla Cove. We didn't try to get there, we just drove and drove and the cove with all the seals was where we ended up. 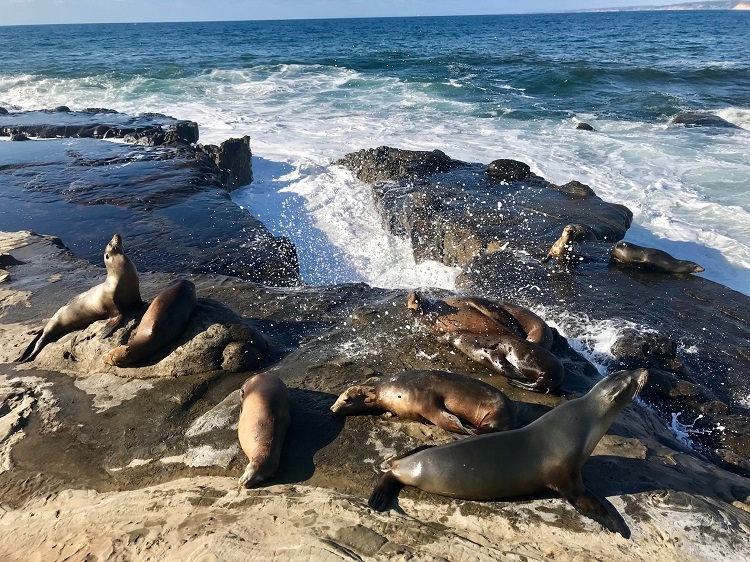 We moseyed on down the rocks until we were up-close-and-personal with the seals. I have photos of Daniel standing just a foot away from them. They were amazing, but boy were they stinky! Seal-watching made us thirsty, so we made our way over to Old Town, our favorite place in San Diego, and we enjoyed some margaritas and a light dinner at the Cafe Coyote. I have to tell you, we dined at almost every Mexican hot spot in Old Town, and Cafe Coyote was our favorite. In fact, not only did we love Cafe Coyote, but we loved Old Town so much that we actually went there every single night for drinks and snacks! Anyway, if you make it to Cafe Coyote, make sure you request Dillon's section (he usually works in the Cantina), and be sure to order their freshly-made tortillas and butter. Oh my, AMAZING. 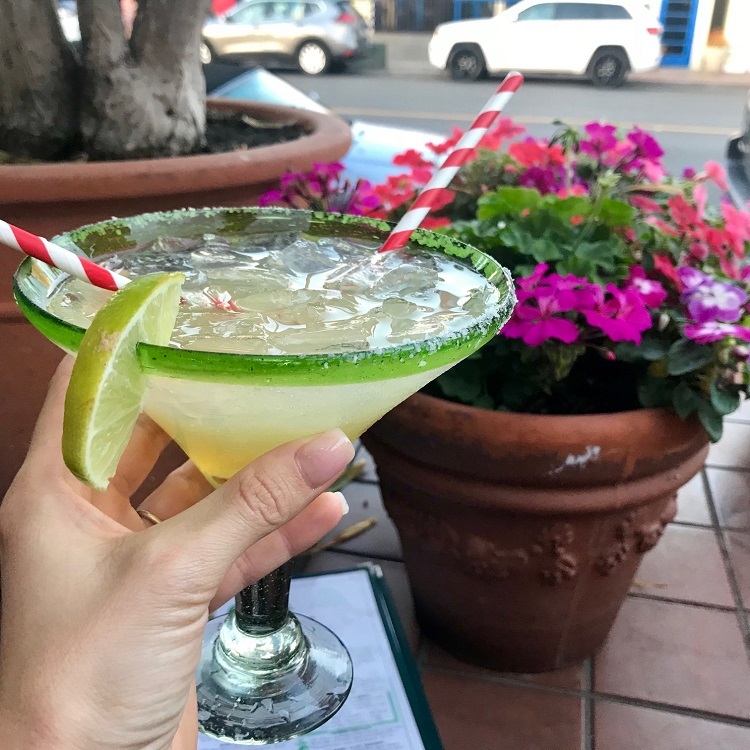 Side note--the margarita pictured above is the happy hour margo... the "grande" ones (which are $15) are HUGE (about 3x this big but a LOT of sours and ice). We found that while the grande was "more bang for the buck," the happy hour normal-sized margo was actually a bit stronger and being that it was the same price as half of one of the Grandes, that is probably the way to go. You know--just in case you were wondering. As if we didn't need one more thing to try to cram into our tummies on day one, Daniel was craving some ice cream. I "didn't want any," but as soon as we walked into the Beatles-inspired Mariposa, I knew I had to have a scoop. The owner was standing behind the counter offering samples, he was so incredibly kind, and he told us all about how he makes his ice cream and picks his flavors. I enjoyed a single scoop of butter toffee and cookie dough, and I was one happy camper. 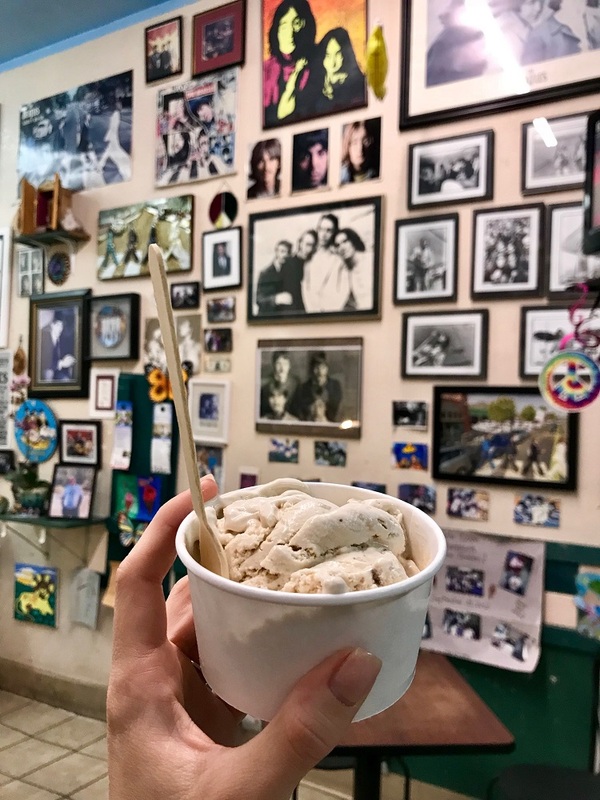 While we had ice cream in several other spots in San D, Mariposa was our favorite and one that I can't recommend enough! And that was the end of day 1. Phew! We passed out around 9:30... we were done-zo! Day 2 started off with a lazy and late sleep-in--how relaxing! We are normally always go, go, go, and to sleep in for once was such a nice break (in fact, we slept in almost every day of the trip and it was a welcome reprieve from the norm). We weren't exactly sure how to spend the day, but as soon as Daniel started googling hikes in the area, we started getting ready for a drive to Anza-Borrego State Park. You guys know we love to hike, and Anza-Borrego was no exception. We drove the 1 hour, 40 min to the park and enjoyed a 3.5-mile hike up and down Palm Canyon. 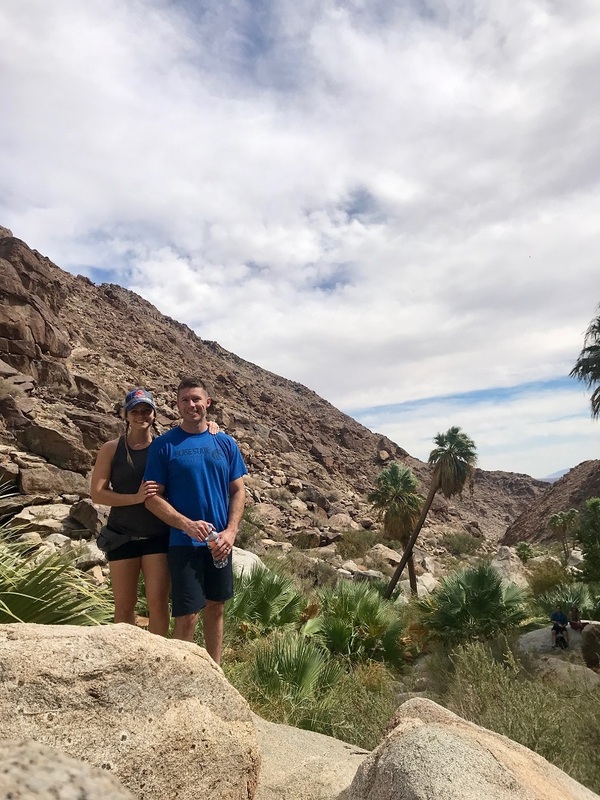 No, it wasn't "San Diego," but we had considered taking a day to go over to Palm Desert since we were so close and feeling like we "needed" a good hike, so Anza-Borrego was a great alternative because we hadn't ever been there before. We'd really like to go back in the spring to see it when it's more colorful and alive with flowers. After our hike, we drove back to San Diego and enjoyed dinner in... yep, Old Town. We shared a Molcajete dish at Casa de Reyes and sipped on margaritas while we listened to live music. Afterward, we walked all around Old Town, shopping in all of the little tiendas. We didn't last long that night, we were tired! 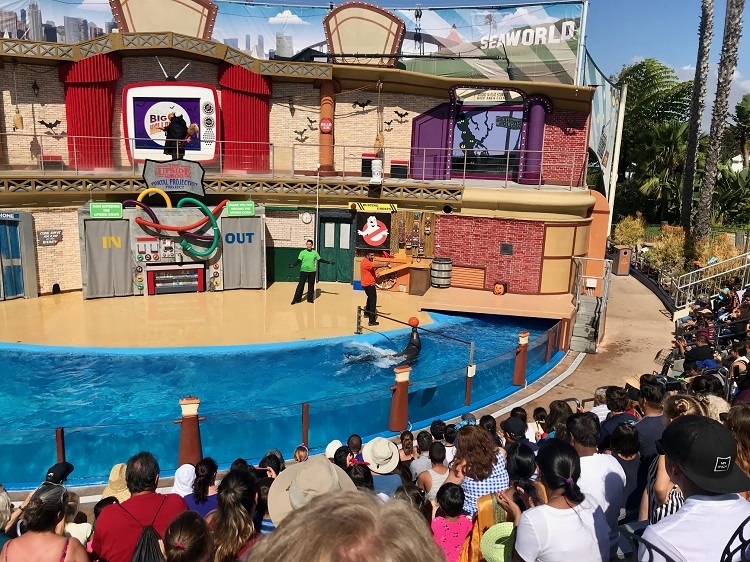 Day three took us to SeaWorld. Military members receive a free admission each year, so of course we had to go. 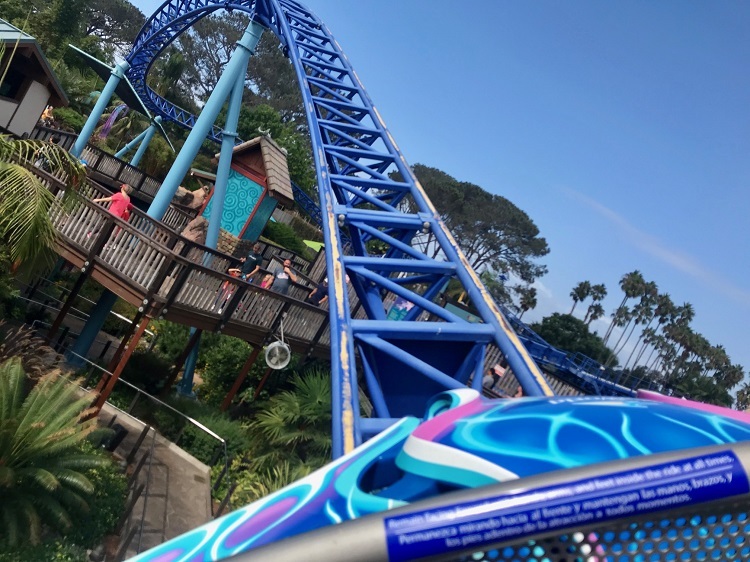 We hit up all the rides as soon as the park opened (the Electric Eel was so cool!) and then walked around for a couple hours, visiting all our favorite exhibits. We made a point to go to the Clyde and Seymour show and the Halloween spin they put on it was very fun. We had a great time and decided to leave around lunch time--the park was doing "trick or treating" that day, and it was starting to get really busy! 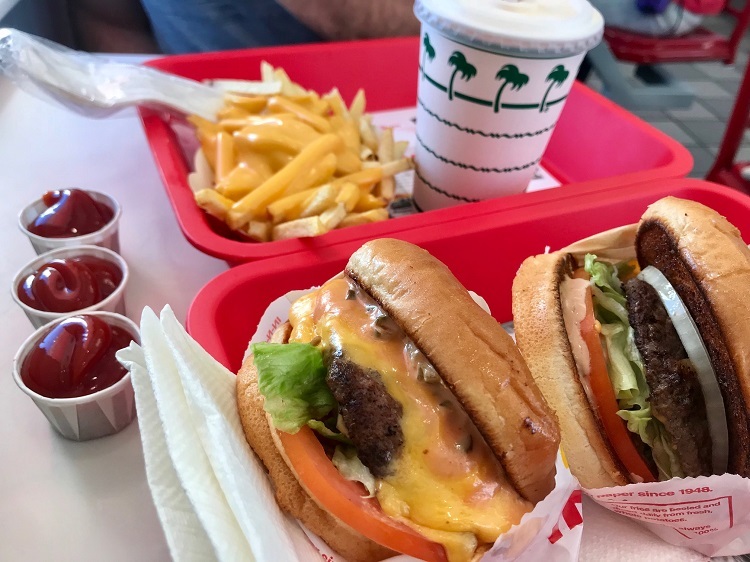 In true California fashion, we opted for In-n-Out for lunch... I mean, we had to. I had a 1x2 (1 patty, 2 slices of cheese), cheese fries, and a vanilla milkshake. No regrets--and may I have another, please? 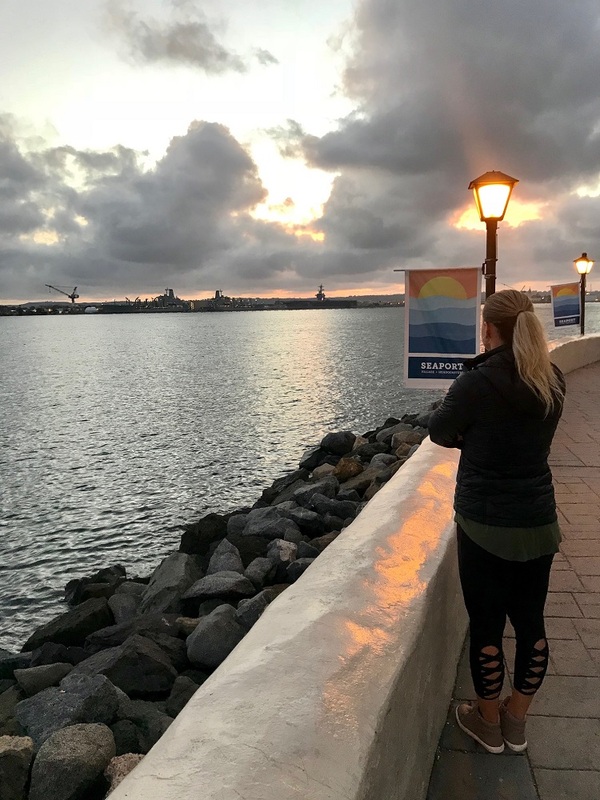 That evening (and after a nap), we drove over to Seaport Village. We wandered around the shops--they were Daniel's favorite places to come as a kid on their family trips to SD--and then sipped on some drinks at Buster's Beach House while we watched Sunday Night Football (hashtag Fantasy Football addiction--guilty). We were at a perfectly good restaurant, but the service was just OK, so we decided to go back to (you guessed it)--Old Town--to visit Casa Guadalajara for a quesadilla and the second half of the football game. I mean, we went to one Mexican spot in Old Town... we had to try as many as possible, right? RIGHT! That was a wrap for night three! 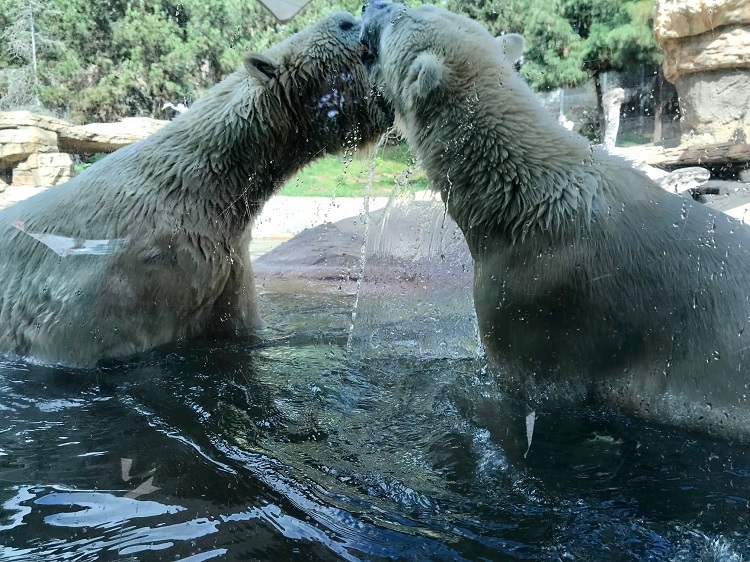 We walked for six hours all through the park, spending a significant amount of time at the reptile exhibit and watching the polar bears play. I couldn't believe how big those polar bears were. They were play-fighting and it was so fun to watch! They kept banging into the walls and the crowd was loving it. We were really surprised how active and alive the zoo was. The exhibits were over-the-top cool, so detailed, and the animals were all moving around. 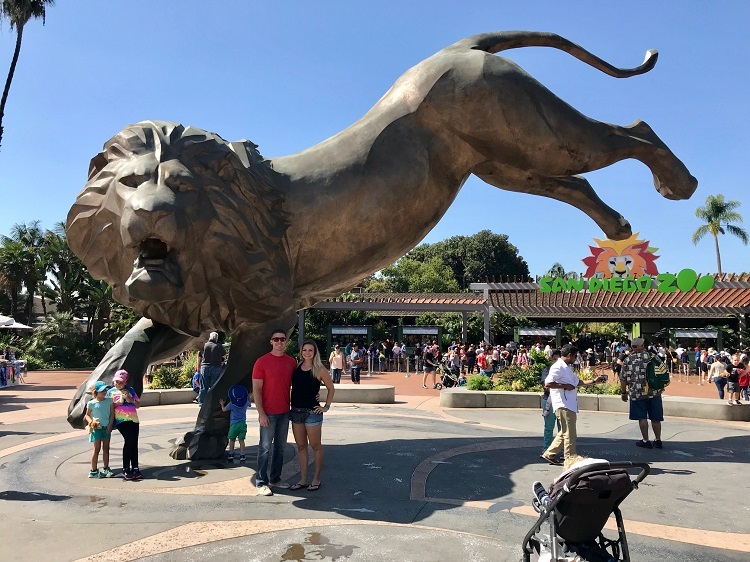 There were only a couple cats that were taking lazy naps, but we were able to make it to every section of the zoo and all the animals were out to say hi. 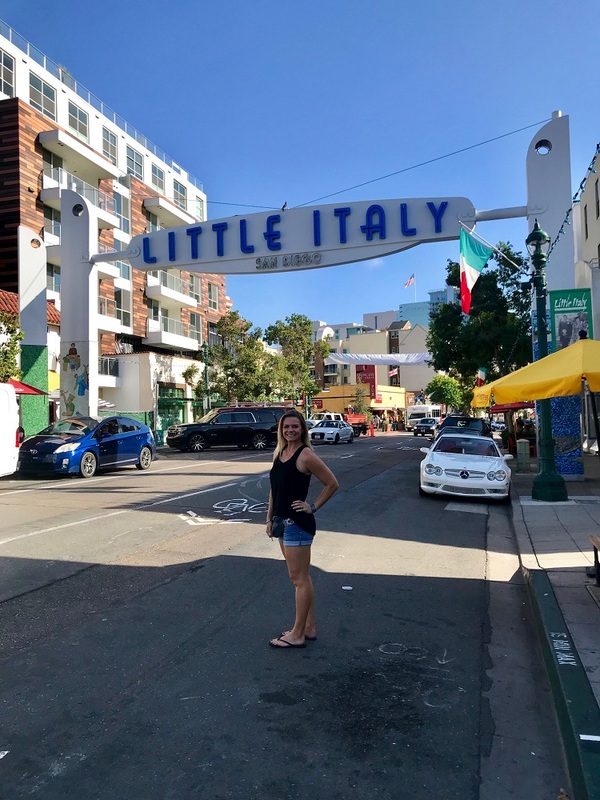 After the zoo and on the way to dinner (yep, at Old Town), one of my friends suggested we check out Little Italy. We drove by and were so impressed--we also just HAD to stop in when we saw pizza-by-the-slice. 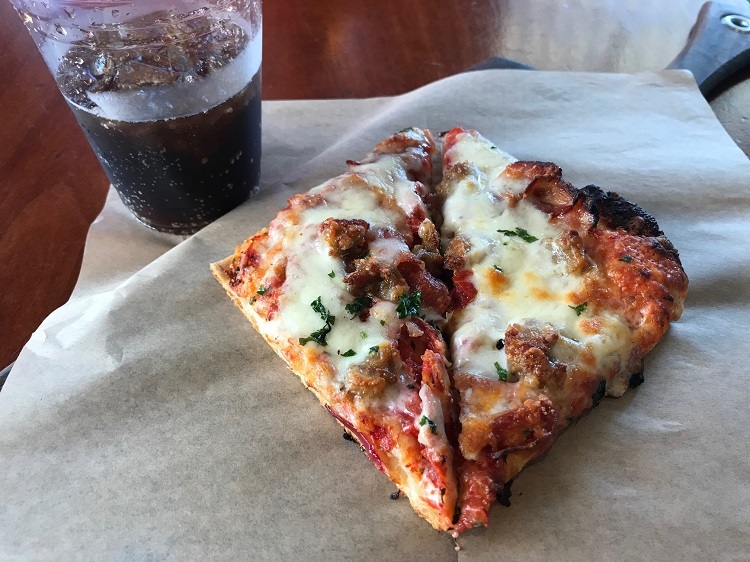 What's one small slice before dinner, right? The first place we walked past was Napizza, and their square slices called our name. We split a slice (aka Daniel ate most of it), and enjoyed a few minutes in Little Italy before heading off to (a nap) and then dinner. We went back to dinner at Cafe Coyote for some Monday Night Football, margaritas, and chips and salsa. We had intended to get dinner, but the freshly-made flour tortillas, margaritas, and aforementioned pizza had us slightly fuller than anticipated. No matter, we sat in Dillon's section again and enjoyed a very fun evening of football and fun. We might not have had room for dinner that night, but we sure had some room for ice cream. True to my normal self, I was "full," so I told Daniel I'd accompany him to get some ice cream. As soon as we got into Moosie's, we started chit-chatting with the owner, the solo guy behind the counter offering us samples. I still wasn't wanting to get anything, very satisfied from my chips and salsa and margarita, but as soon as I tried their Red Velvet flavor, I knew I needed a scoop of that in my life. It was a moment in heaven as I enjoyed that little scoop, and I went home with a full belly and a newfound love for Moosie's ice cream. And that, my friends, was the end of day four! On day five, our travel day home, we got up early to watch the sun rise from the Pacific Beach Pier. We didn't quite beat the sun up that morning, but we did get there in time to see the early-morning surfers catching some waves. We watched the surfers, spotted dolphins in the distance, walked along the beach, and ate breakfast at Kono's. Since it was a travel day, we headed back to the room to pack before heading out for the day. 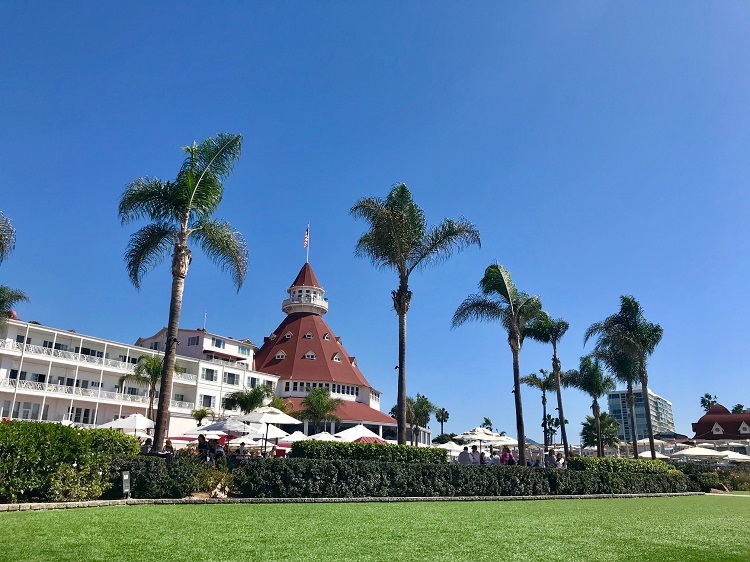 We had some time to kill before our flight home, so we drove to Coronado Island and walked the grounds of the Hotel Del Coronado, taking in the sights. We wandered into town and ate fish tacos at Miguel's Cocina (Mexican, again!). It was a great way to wrap up a fantastic and memorable trip. So San Diego. I loved it. Vacations with my sweetie are really fun, and so is exploring new places. We had such a nice time and were able to fit so much into each day without overdoing it or feeling stressed. We had such a low-key, easy-going time. I want to go back and do it all over again! We love traveling so much, and I know that's mostly all I talk about on my blog these days. 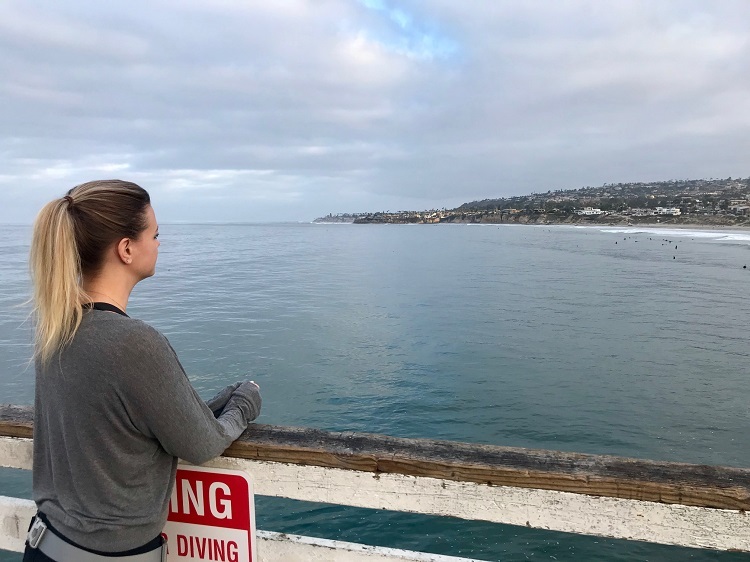 For so many years, I never really felt like I did much in regards to travel, but I'm starting to realize that we are almost always on the go, and when we have a chance to squeeze a real vacation in, I'm ever-so grateful. I hope you guys enjoy these kinds of posts... because they're so valuable for me to be able to look back over them and remember all the good times.